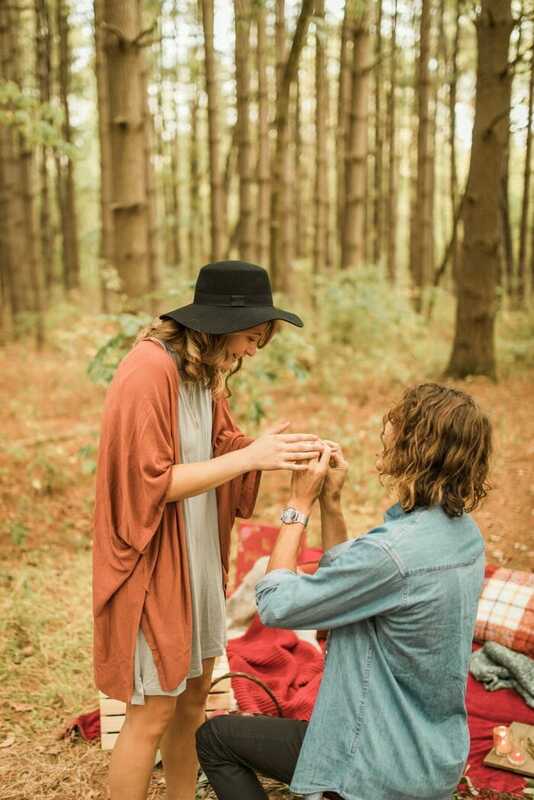 Mikayla and Cameron's Proposal on The Knot's HowTheyAsked.com! We met through a mutual friend and started dating last June. 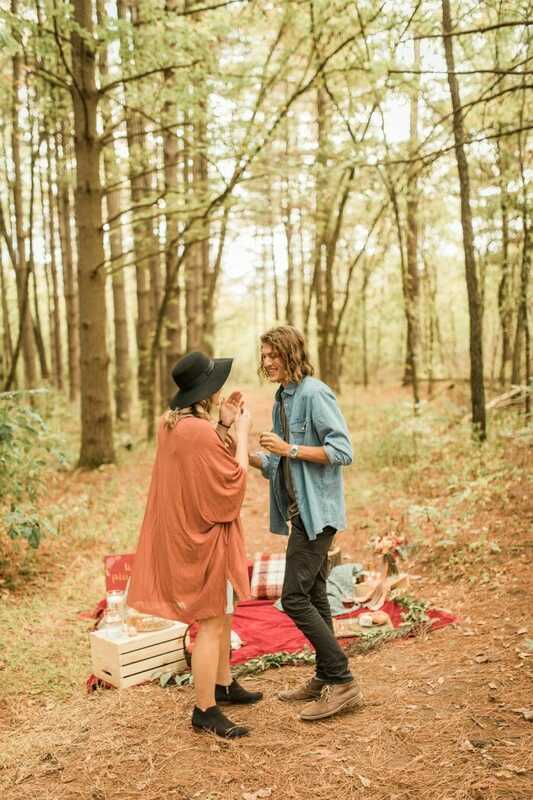 Cameron knew that he wanted to document the proposal in someway, but didn’t know how. He loves making videos and thought about making a clever video for me and implementing that into the proposal. 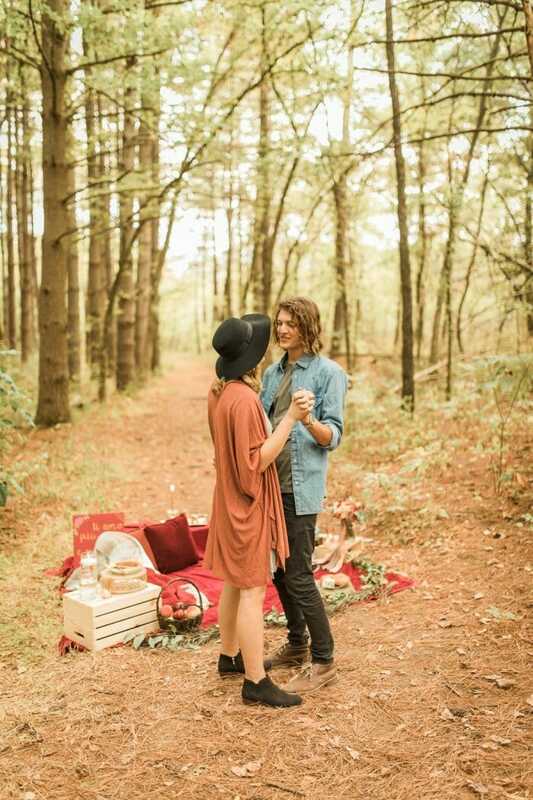 Then he thought, ”What if I proposed during a photoshoot? !” And so he contacted Allison of Allison Slater Photography and asked if it was possible, she agreed, and they started planning! I love Colorado, and he wanted the setting and theme of it to feel as close to Colorado as it could! 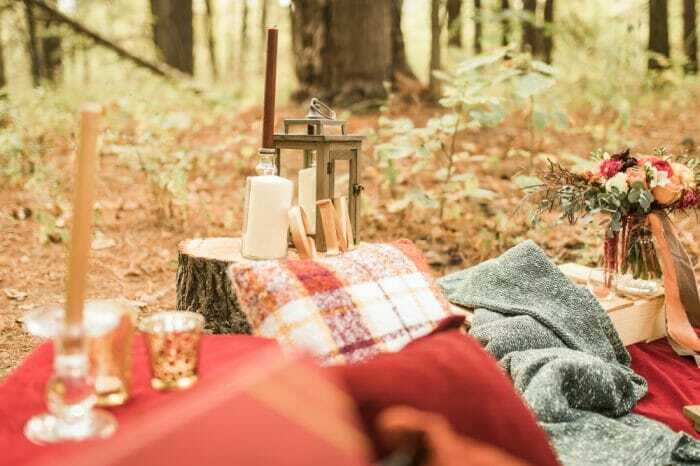 Naturally, he picked the only setting in the St. Louis area that has a mountain vibe – the Pine Trail in August A. Busch Wildlife Conservation Park! It was perfect. 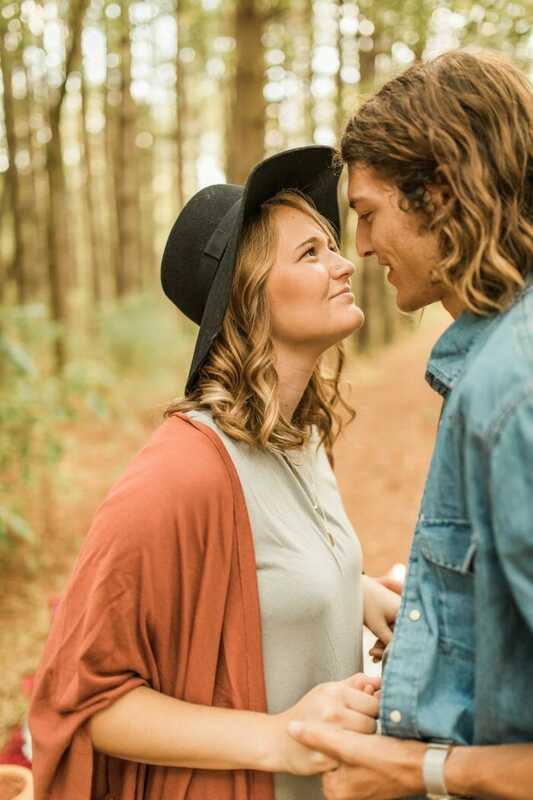 In order to successfully plan a session without me realizing the TRUE plans, Allison sent an email to the both of us (Cameron happily played the part of acting as if they hadn’t already talked about a session for us and as if they hadn’t already set a date/location!) 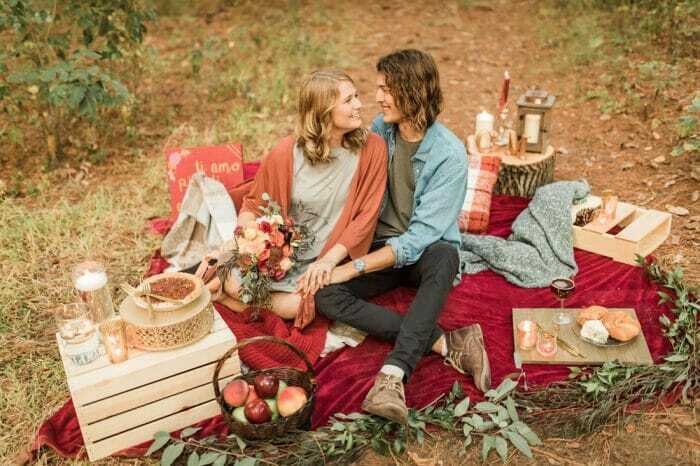 Allison asked if we would be models in a styled shoot for her, with a ‘romantic picnic in the woods’ theme. 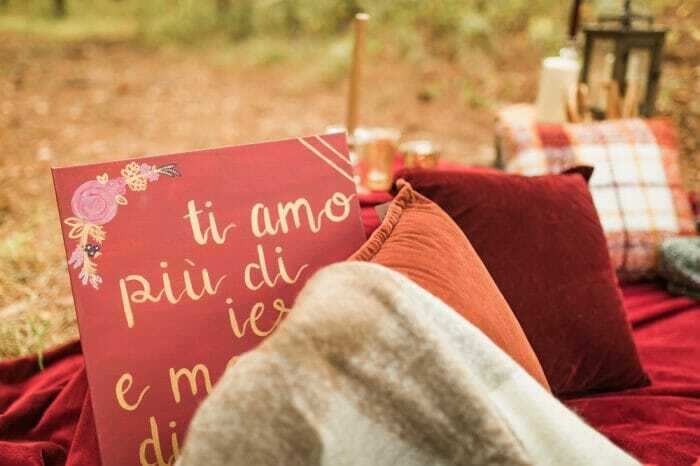 She even reached out to a fellow wedding-planner vendor friend, Allyssa Underwood of Allyssa Elaine Events and asked if she would be able to be involved to help plan the most perfect, beautiful and romantic picnic set-up on the Pine Trail. Allyssa then also reached out to Sigalit of The Flower Bar STL for a bouquet for me! 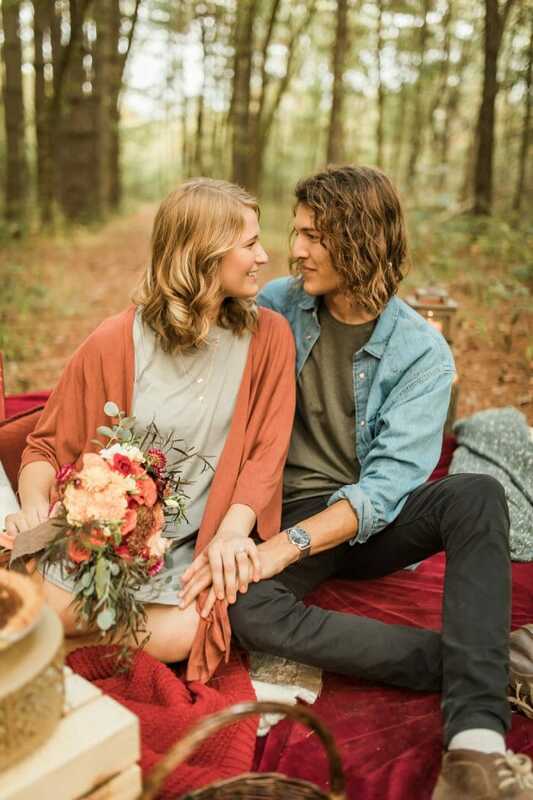 Having the excuse of our session being a styled shoot worked perfectly to allow Allyssa and Sigalit to be involved and apart of it without me suspecting a thing. 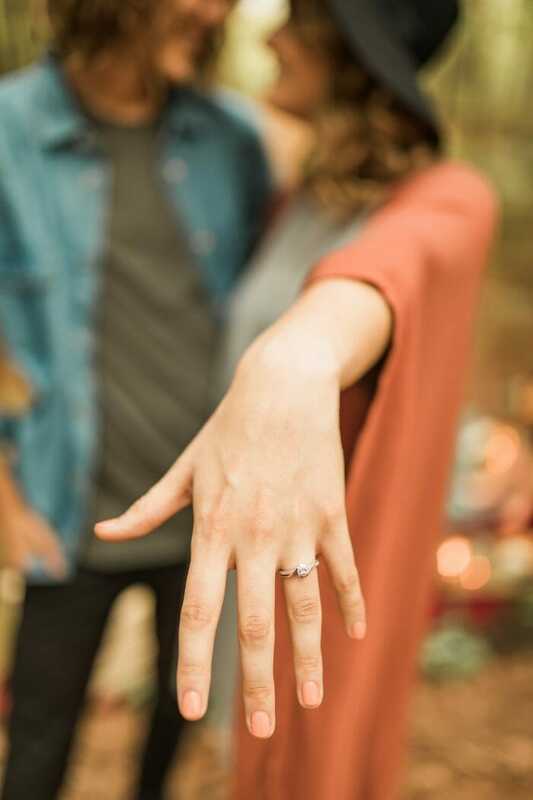 Since he loves making videos – he had thought about making a clever video for me and implementing it into the proposal before he had asked Allison to take pictures of it! 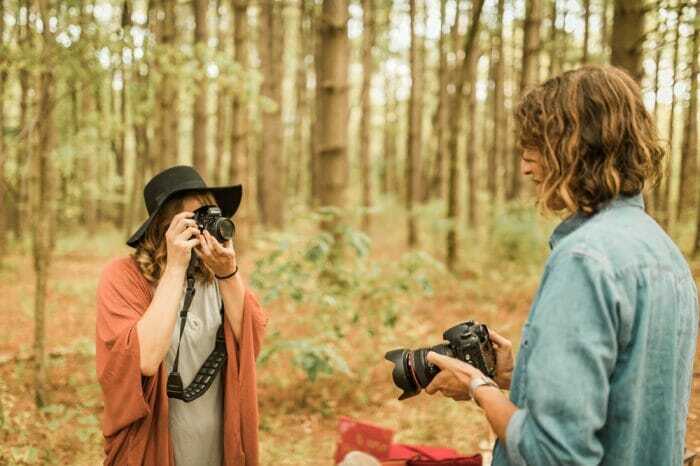 Since we’re both passionate about photography (I’m currently taking a film class!) 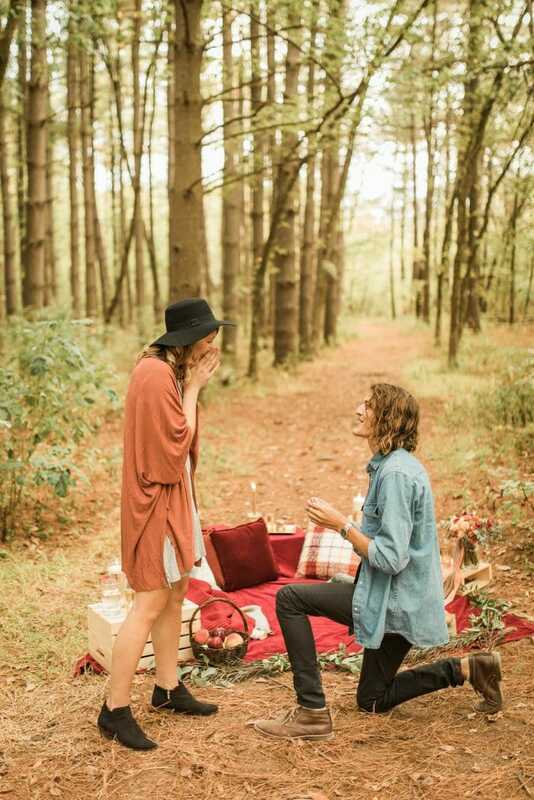 and videography, he asked if we could bring their cameras along as ‘props’ so he could set his camera down right before he was going to propose so that he could hit record without me realizing it. In the images, you’ll see a couple of pictures of us with our cameras and then us dancing! Right before we started dancing, Cameron gave his camera to Allyssa asking her to ‘hold it’, when he really had begun recording. He dropped down to one knee just a few minutes after we started dancing together. It was SO magical. 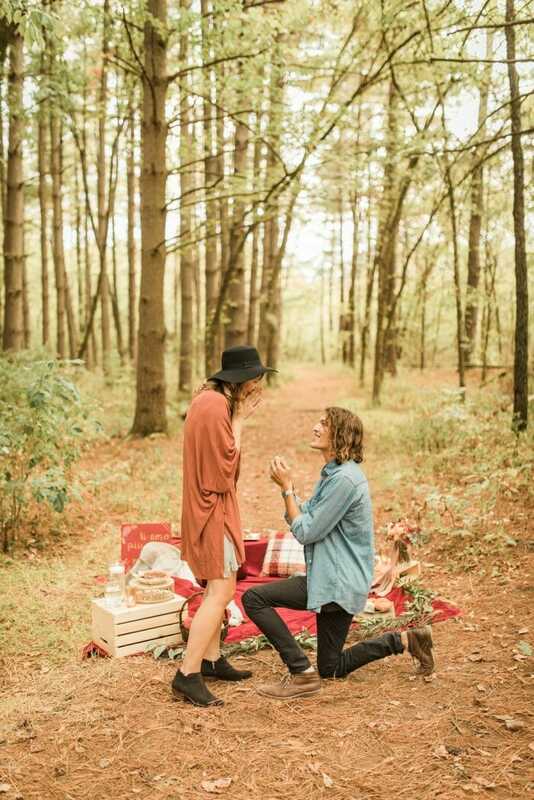 I’ll be honest…Cameron isn’t much of a planner (and he’d be the first to admit it) so it warmed my heart that he put so much thought into the proposal. 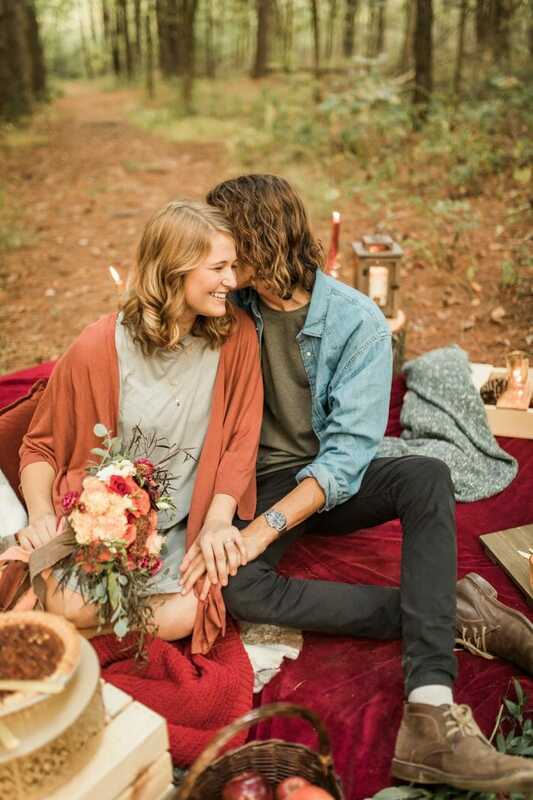 From the fall colors to the intimate setting to the Colorado vibes, everything was absolutely perfect. In case you haven’t figured it out already, I have a pretty amazing fiancé.